Warwick Colonial Charmer – white picket fence and all! Very accommodating sellers – easy to show by appointment! 2017 has been an extraordinary summer in real estate… interest rates are still hovering around 4% and lots of affordable housing options are still presenting themselves for buyers in all price brackets – including First Time Home Buyers. Are you ready to enjoy the benefits of home ownership? Looking for a 4 bedroom home? Would a first floor master suite be appealing to you? How about a classic Colonial with an enclosed front porch, deck, garage, and spacious lot? I am so pleased to assist Anne Darling and the sellers of 23 Verndale in Warwick in marketing their home for sale and we’ll be even happier for the deserving buyer. Priced at $224,900, this wonderful home offers buyers an awesome opportunity to own a 4 bedroom, 2 full bath Colonial with tons of curb appeal tucked away behind a white picket fence in a classic neighborhood setting convenient to everything! Enjoy gleaming hardwood floors, an eat-kitchen, first floor master suite with full bath & walk-in closet, three additional bedrooms & a full bath on the second level, adorable private deck area for relaxing, three season porch, fenced in yard for your furry friends, a fantastic location convenient to everything, and a garage that could easily be converted into a music studio, home office, or just an awesome storage space! Bring your personal style and make this your own dream home. Absolutely a solid home with great potential! 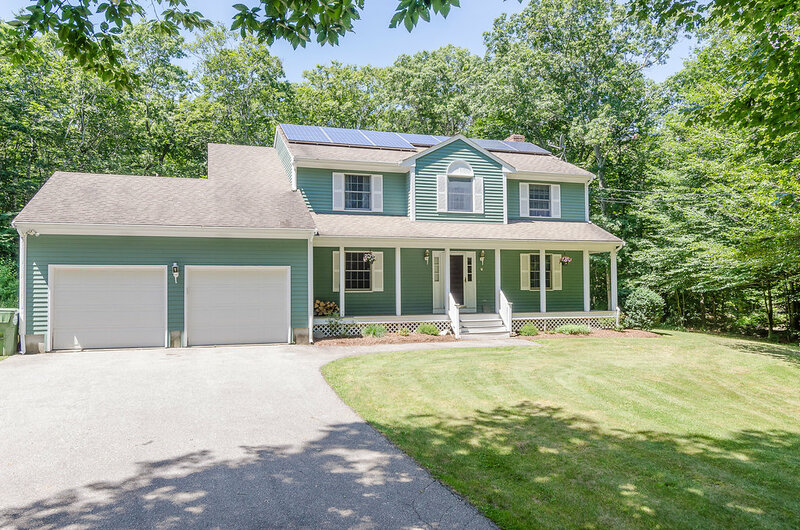 Call or text to set up your a private showing – Anne Darling at 508-838-1470. Or simply fill out the contact form below… we’d be happy to answer questions and help out in anyway with your buying or selling needs!